Reports are coming in from across the country that airlines’ computer systems are down, ABC News reported. 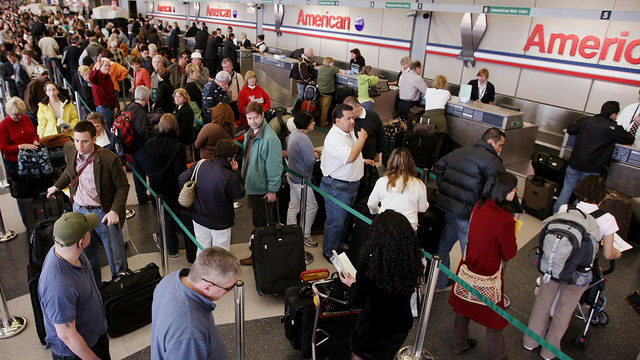 #NEW Airline and airport sources are telling ABC News that Sabre, a company that airlines use for reservations, printing bag tags, and in some cases check-in, is having computer issues affecting the check-in process at multiple airports and multiple airlines. Travelers at airports from Boston, to Seattle, to Washington, D.C. are reporting that they cannot check in, land or take off. And it isn’t just one airline that is having trouble. Passengers on JetBlue, WestJet and Alaska Airlines all reported having issues this morning. But American Airlines said via Twitter that Sabre, the system that many airlines use, had a brief issue but that issue has been resolved. Sabre had a brief technical issue that impacted multiple carriers, including American Airlines. This technical issue has been resolved. Those waiting to board flights are saying computers are coming back up. A spokesperson at SeaTac said the system is up there and airport operations are returning to normal. Sabre confirmed the glitch and said recovery is in progress.